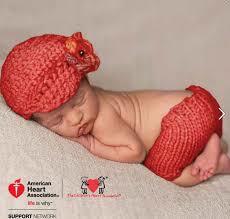 The American Heart Association is looking for volunteers to help knit tiny adorable hats for tiny adorable babies. I mean how cute, right!? I wish I knew how to knit! This is a wonderful opportunity for those who do! 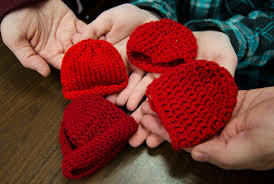 The American Heart Association and The Children’s Heart Foundation are looking for volunteers who can create tiny red hats for babies born in February, designated as American Heart Month. The project helps spread awareness about congenital heart defects — which affect about 40,000 babies born in the country each year. If you’d like to take part or donate yarn, get in touch with your local American Heart Association office — you can find the contact information, plus hat patterns, on the AHA website. 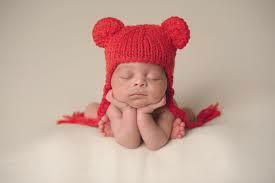 You can create caps for preemies or full-term babies. 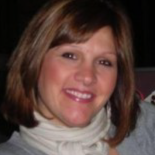 “Little Hats, Big Hearts” started in 2014 in Chicago and quickly expanded nation-wide. It’s not hard to see why they’d expand – all the cuteness!